BOISE -- Wesley Hipke's job is to ensure that Idaho has an ample groundwater supply for years to come, thereby protecting the state's economic future. As recharge program manager with the Idaho Department of Water Resources, Hipke, 54, identifies prime locations for conducting managed recharge -- injecting surface water into the ground to reverse aquifer declines -- and develops the infrastructure needed to increase the state's recharge capacity. Hipke's program works closely with irrigators, paying canal companies "wheeling fees" to run recharge water through their unlined canals, or to spill it into porous basins. The state also covers or shares costs of work on canals to facilitate recharge. "My primary goal is developing a program where we keep as much water as we can in the State of Idaho," Hipke said, adding that water recharged during peak stream flows ultimately returns to the surface when it's used by irrigators. Hipke, who helped manage recharge during his 19 years with the Arizona Department of Water Resources before taking a job with a Boise consulting firm, assumed his current position in January 2015. He believes Idaho has been arguably the most progressive state in embracing recharge in time to reverse a trend of aquifer declines. Idaho recently committed to averaging 250,000 acre-feet of annual recharge by 2020 on the Eastern Snake Plain Aquifer -- a volume roughly equal to the annual rate of groundwater decline. But Hipke explained the state is already laying the groundwork to well exceed its lofty goal, pursuing additional recharge water rights and constantly researching to lengthen its list of potential recharge infrastructure projects. The state has a water right to recharge up to 1,200 cubic feet per second in the ESPA. The right remains in priority throughout winter below Minidoka Dam, and Idaho is two years into a winter recharge program in the lower valley, which recharged 75,000 acre-feet in its first year and 66,000 acre-feet last winter. Idaho will have the capacity to recharge up to 230 cfs of its water right throughout the ESPA after current infrastructure projects are completed, and Hipke expects to boost the capacity to 735 cfs within the next two years. "To hit that 1,200, it's going to take developing new projects," Hipke said. "We're already starting to look at those and seeing where we can add sites and diversity to use that full amount." Hipke said Idaho has additional recharge water rights pending, which would have 1998 priority dates, totaling 6,569 cfs in the lower ESPA and 7,334 cfs in the upper valley. The Idaho Water Board recently approved $10.4 million for Fiscal Year 2017 recharge efforts on the ESPA, including $7.5 million toward developing new infrastructure and $1 million toward investigating more potential recharge sites. 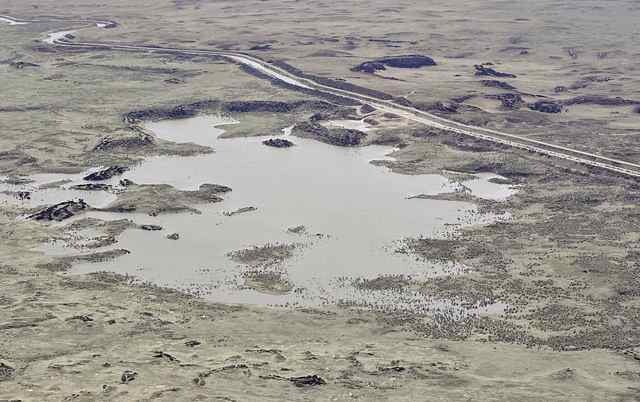 Lynn Tominaga, executive director of Idaho Ground Water Appropriators Inc., said his organization likely wouldn't have reached a settlement to the Surface Water Coalition's 2005 delivery call last summer if not for the state's commitment to recharge. "It's the first time the state has ever done water management planning dealing with infrastructure," Tominaga said. "The water has been available in years past (for recharge), but we never had places to put it in those high-flow years." The Water Board also approved $200,000 toward studying the potential for conducting recharge in the Treasure Valley, looking to expand the effort into additional aquifers. Innovation: Identifying the best locations for Idaho to develop managed aquifer recharge infrastructure now and into the future.